CALL 323-PEZ-TDPS AND LEAVE A MESSAGE! ASK CHRISTOPHER & ERIC ANYTHING! 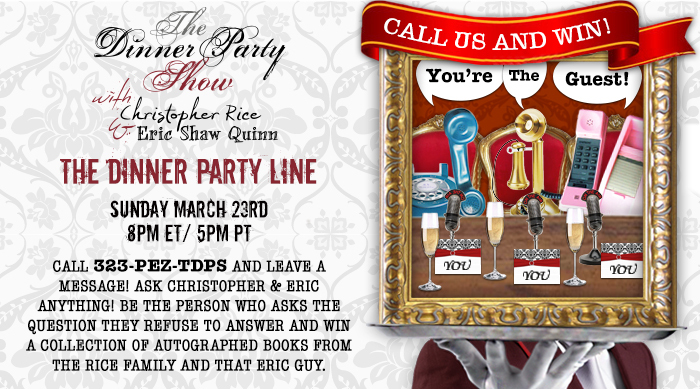 BE THE PERSON WHO ASKS THE QUESTION THEY REFUSE TO ANSWER AND WIN A COLLECTION OF AUTOGRAPHED BOOKS FROM THE RICE FAMILY AND THAT ERIC GUY.